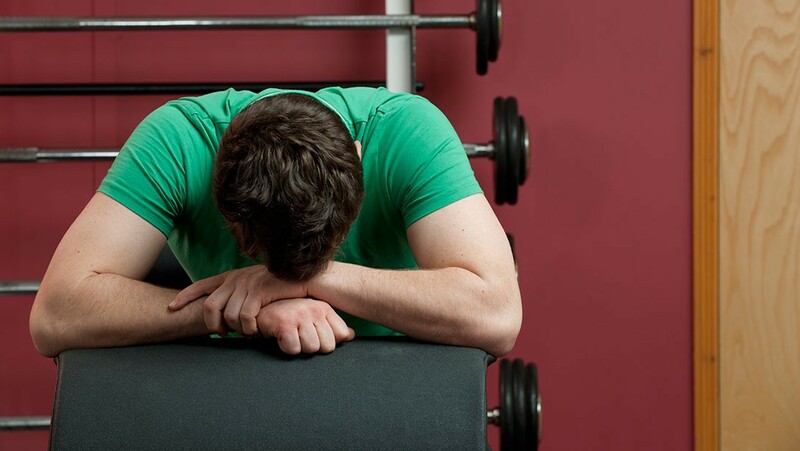 Partial reps, forced reps, or slow negatives — which should you do? First off, stop thinking and just get to work. Unfortunately, a majority of training programs have lost track of the tried and true principles of overload and linear progression. To see more results, you have to have the will power to get stronger in order to handle more volume. To start, lay out a plan where you’re adding three to five percent of weight every week as well as adding a set. Then start training with 80 percent of your max weights, and work your way up to 95 percent without going to failure. If you adhere to the first point, then it’s a must that you take a deload week. Deload every four to five weeks where volume and weight are cut in half. A deloading week will reset your central nervous system — giving your joints a change to recover. I don’t mean to be brutally honest, but you don’t always need an arm or chest day. Instead, think of the push-pull leg principle as the building block of your program. And if you’re a risk taker, then do a vertical and horizontal pull-day as well as a standing vs. laying down push-day. This will put you at five training days a week, but feel free to add a second leg day. A recipe for disaster is hitting the gym on an empty stomach — you’ll become hangry. If you train with sufficient intensity and volume, you’ll need to conume a protein and carb 60 minutes before working out. Also include an intra workout shake for optimum performance. Especially for those of us training in our later years, assisted recovery is a must. Have a standing weekly appointment for acupuncture and massages, depending on your budget. Some insurance plans do cover acupuncture, and as for massages, find someone who understands trigger points and referred pain. It can be painful – both physically and financially — but very beneficial in the long run. The pyramid is not a good workout protocol — I’ll probably hear it from you on this. The routine covers too many rep ranges. Also, training to failure for up to 15 reps will fry your nervous system before you even get to the heavier set. I recommend using a ramp up, where you work your way up to your actual training weight. In our gluten-free, all-paleo world we can sometimes forget that carbs are crucial for proper workout performance. Providing that you train with sufficient intensity, you’ll need about five grams of carbs per every two sets of training. This will make a typical 20-set workout needing up to 50 grams of glycogen for fuel. To make that happen, consume a whey or waxy maize shake during the workout and have a low-fat meal post-workout. When I was new to the sport, I actually did allow people a cheat day. Eventually, I witness them destroying 12,000 calories plus — ruining an entire week of dieting. If you’re at a reasonable leanness — males under 12 percent, females under 15 percent — you can indulge in one cheat meal a week. Previous post: Are You Getting Your Money’s Worth from Your Personal Trainer? Next post: How Much Muscle Can You Really Build?